Gray Mountain, John Grisham’s latest legal thriller, is a chilling riposte to our Prime Minister’s controversial assertion that ‘coal is good for humanity’. Coal is certainly not good for the people of Appalachia, a vast tract of North America where coal is king, and where the twin evils of strip-mining and black lung are destroying communities. Appalachian coal is found in seams, like cream between layers of a cake. At the top of the mountain there is the forest, then a layer of topsoil, then a layer of rock and finally a seam of coal. When a company strip-mines, it literally attacks the mountain with all manner of heavy equipment. First it clear fells the trees, total deforestation with no attempt to save the hardwoods. They are bulldozed away as the earth is scalped. Same for the topsoil, which is not very thick. Next comes the layer of rock, which is blasted out of the ground. The trees, topsoil and rock are bulldozed into valleys between the mountains, creating what is known as ‘valley-fills’. These wipe out vegetation, wildlife and natural streams. In small-town Brady, Virginia, crusading lawyer, Donovan Gray, specialises in taking on Big Coal after what he calls ‘strip mining on steroids’ turns paradise into hell. And it’s very personal. Donovan’s father, Webster Gray, gave in, first to the bottle and then to a mining company that promised him the earth. Only it cost him the earth—his home, his marriage, his son. In the end the land itself that had been looked after by Grays for generations was raped for a pittance. Blasting, dust, sludge and flooding followed. And when the company was done, it went bankrupt and walked away from remediation, only to re-emerge as another coal miner down the track. Donovan’s father disappeared after his mother committed suicide. He was raised by his firebrand aunt Mattie, also a community lawyer, who ran the Mountain Legal Aid Centre from a former hardware store on the main street of the small town. One of the more heartbreaking threads of Gray Mountain follows a miner with black lung disease who is fighting to receive benefits. In the US, about 1500 miners die each year from black lung. Their deaths are almost always slow and agonizing. As they grow worse, constantly breathless with a cough that yields black muck, the miners must fight a system stacked against them. The law does not allow a miner to pay a lawyer. 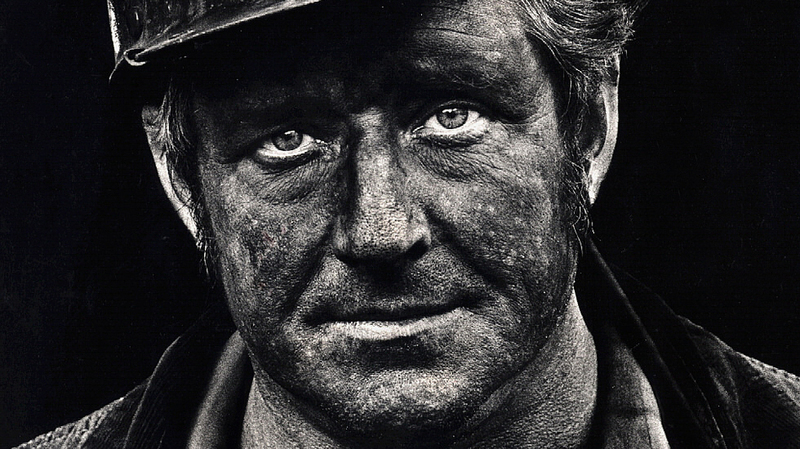 The miner must negotiate the Federal black lung system by himself. The coal industry is harshly resistant to claims and employs attorneys to manipulate the system. Even if a miner wins, the process can take five years. More likely he will die before benefits are paid. The US has an epidemic of black lung and the only possible reason is prolonged exposure to more dust than allowed legally. Now officials in Australia are warning against a rise in black lung as we embrace coal ahead of renewables. 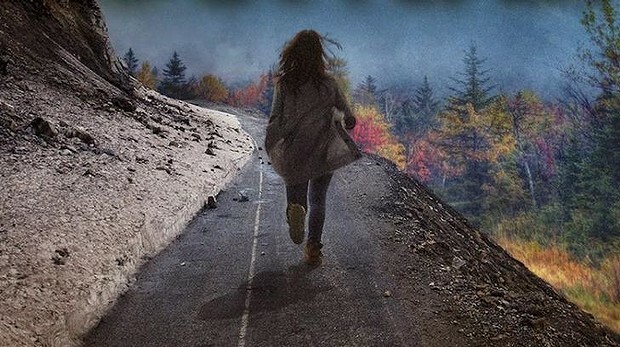 Gray Mountain by John Grisham, cover artwork. Meanwhile, Samantha Kofer knew she wasn’t in New York City anymore when a man posing as a traffic cop arrested her for speeding. Turns out he was the dim-witted nephew of the sheriff of Brady, where she was headed for a job interview. She had been taken to the town’s jail before profuse apologies were forthcoming. At Scully & Pershing, the Big Apple’s biggest law firm, Samantha had ground out a hundred hours a week arranging financing for skyscrapers in Manhattan when she was laid off after the global financial crisis hit. She hadn’t been in court for three years and she hadn’t been in jail, till now. Samantha had grown up in Washington; the only child of two ambitious lawyers she went to private schools and graduated in law with honours from Columbia. After Lehman’s collapse, Samantha had lived in fear of the axe and when it came, her firm had softened the blow with a deal: If she volunteered to work unpaid for a non-profit legal aid centre for one year she could keep her health benefits and might even be rehired. She had enough savings to live frugally for a year and so had driven to Virginia. Donovan took her for coffee. He liked she that drove a hybrid car. She noted the handgun in his car, and he shrugged and said the coal companies often employed thugs. “Mountaintop removal is killing our communities,” Donovan told the big city lawyer hoping to work for free at the centre run by his aunt Mattie. They store it until there’s an accident and it gets into the groundwater, or, as happened in Kentucky when a slurry impoundment broke and 300 million gallons of sludge rolled down the valleys, covering everything in its path in deadly black crud. Strip mining also needs a fraction of the workforce required for conventional mining. But a lot of people in Brady think a few jobs are better than none and those do-gooder lawyers better watch out. Appalachia is running on coal and methamphetamine, just like so many rural communities out of the public gaze. This is the wretched America we don’t often see and Gray Mountain is another gratifying Grisham tale where David dances round Goliath and lands a knockout punch. This entry was posted in Uncategorized and tagged Appalachia, Australia, black lung, coal, Copd blog, Death, Gray Mountain, John Denver, John Grisham, lung, mountaintop removal, pneumoconiosis, Prime Minister Abbott, strip mining, West Virginia. Bookmark the permalink. This sounds like a powerful book, Barb. Future generations are going to look back on us and judge us harshly: we’ve been the spoilers and books like this help to tell the stories of those who suffered and tried to fight back. Great review Barb. It sounds like a must read to me! Gray Mountain is a top read Julie, thanks. Mr Grisham acknowledges the non-profits who work to save the environment from Big Coal, and names as his inspiration the Appalachian Citizens’ Law Center in Whitesburg, Kentucky. Fiction can serve a progressive political agenda by telling strong stories, as you of course know already :). Oh Wowee you have seen & felt it all! YOU have shed tears for mother earth & her innocent babes from a young age .I can’t help but feel your deep pain & contempt for manKIND ( NOT !) Gi – Gi my youngest sister & I re-watched ERIN BROCKOVICH recently. Even better the 2nd time round. You use the same forceful voice , add the group AVAAZ & you would be unstoppable!! & courage still to confront these tragic truths head on. These amoral people are gradually being exposed I believe but no doubt not nearly fast enough. Thank-you for the run down on J. Grisham’s book GRAY MOUNTAIN it sounds compelling. Barb how are you right now? Did you avoid a Winter cold? I too was sad when your lovely blogger * BOB* died recently. He was such a caring soul . Thinking of you & Fran heaps ALL OUR LOVE JULES XOX COL & G.G. PS KT is still on track ,thank-you for finding her lost soul & path . Perhaps you saw CHARLIE’S COUNTRY & just knew where they were ?